Mark Volman and long-time collaborator Howard Kaylan were founding members of The Turtles, whose 1960’s hits include “Happy Together” and a cover of Bob Dylan’s “It Ain’t Me Babe”. When The Turtles disbanded, Volman and Kaylan joined Frank Zappa’s Mothers of Invention, and due to contractual reasons adopted the names Flo & Eddie. 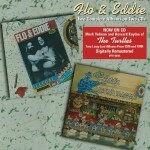 Flo & Eddie performed on the Zappa albums Chunga’s Revenge, Fillmore East June 1971, and Just Another Band from L.A., and in the movie 200 Motels. Flo & Eddie also sang background vocals for T. Rex, including on the worldwide hit “Get It On (Bang A Gong)” and the albums Electric Warrior and The Slider. And that’s just scratching the surface. They also sang on records by notable artists including Bruce Springsteen (“Hungry Heart”), The Psychedelic Furs (“Love My Way”), Stephen Stills, Alice Cooper, Ray Manzarek, Keith Moon, The Ramones, and Blondie. Volman is also the Chair of the Entertainment Industry Studies program at Belmont University in Nashville. The following is from a phone interview with Volman on July 29, 2011. Jeff Moehlis: What can we look forward to at the upcoming Happy Together concert at the Chumash Casino? Mark Volman: Well, it’s pretty self-explanatory, I think. 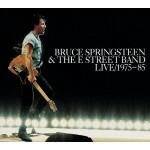 This is an idea that we started in the 1980’s, which was to have a tour in which the artists only play their hit songs. That’s what this is. There’s not anybody trying to preview a bunch of new material from an upcoming album. This is just Happy Together, five acts from the 1960’s who generated about 100 million sales around the world. So everybody’s just playing their biggest hits. JM: How would you characterize your experience in The Turtles, both the good and the bad? MV: Well, I think that with every type of experience, especially in the music business aspects, the low points probably are the elements that detract from the artistic part, where you’re forced or relegated to making music for the purposes of supporting an industry that doesn’t give much credibility to the artform. Especially in the era we grew up in. And I can’t speak about this particular era and what record companies are like, because that’s just not something we’re a part of as an artistic form. But I know the low point obviously is that pressure as a group we felt continually to support the record company’s necessity of making money. And that really put a lot of pressure on us, considering we were so young and didn’t really understand the economics of what the music business stood for. Of course, the high point really was just about every experience you can look at. Even the negative things were good for us to learn about, because, I mean, you can’t change all of that. It’s just a life experience. Life brings you the challenge of the high points and the low points, and I think there were so many high points that kind of overshadow the bad parts. The reality is that in the end result, especially for Howard and I, it has given us an entire career, which I can’t ever imagine we at one point could have ever thought would happen. I mean, the fact that we’re still doing this with nearly fifty years of a friendship under our belt, and still going strong, that has to be one of the most remarkable parts of this. JM: I’ve noticed that many of the early songs released by The Turtles were written by other people. I’m curious, how much say did the band have in what songs they recorded? MV: First of all, we came along in a time when… The music business, before The Beatles, nobody really wrote their own music. You can go into the late Fifties and early Sixties, there weren’t a lot of songwriter performers. That’s the first thing to take into consideration. We never felt that it was a disservice to us to be recording other artists’ songs. We didn’t do a lot of other artists’ songs. I mean, our catalog as The Turtles, on every album probably are two or three songs written by other artists and the rest were written by the band. I just think that we were very conscious that there were better songwriters than us, better for what we should be recording. A lot of that had to do with the fact that we were not skilled as writers. We were just kids in high school playing in a high school band, you know? It just sounds so screwy that we sort of found ourselves in the music business because, when we grew up, there really wasn’t a music business. And you didn’t care about owning publishing, or being a songwriter. So we never felt we were slighting ourselves. I think we were very conscious of the fact that we were looking continually for great songs written by great artists. We wrote some good songs. I think that the record felt more comfortable with us recording songs by Goffin and King, and we recorded great songwriter material like Bonner and Gordon, and Harry Nilsson, and Warren Zevon, and Bob Dylan. I don’t feel that we did a disservice to ourselves. It was just the era. I think the era didn’t really force songwriting as a big deal. The people on this tour… I think Grass Roots were the same way with Sloan and Barri, and the great songwriters they had writing their hits. The same with The Buckinghams. The same with Mark Lindsay, with “Kicks” that was Cynthia Weil. There wasn’t a big push to be a songwriter, and that really didn’t take place until The Beatles kind of opened the door for that. JM: How did it come about that you and Howard joined The Mothers of Invention? MV: That was purely by accident. 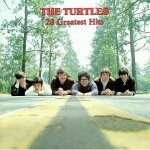 I mean, The Turtles were in a lawsuit with the record company, and it prevented us from using the name The Turtles. It even prevented us from using our real names to make records. And so we were in a situation where we were really out of work. So when Frank came along and offered us the opportunity to join The Mothers of Invention, to just tour and sing with the band and go through Europe, we didn’t have any idea that that would turn into a two year partnership that would turn out so much great material. 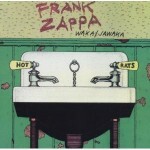 JM: Could you describe the Frank Zappa that you knew? MV: Well, he was a very hard-working father, very creative in terms of challenging the marketplace with a lot of different genres and styles of music. Everything from jazz, to comedy music, to very progressive rock. He was a very, very interesting person to be with inasmuch as the music forms were unlimited in terms of what he was writing for. Especially during the period we came in, we were given the opportunity to play around in a genre that we never got to. And it also opened the door for him to create the comedy stylings of “Billy The Mountain”, and “200 Motels”, and do things that weren’t quite so fixated on just music, but brought a more contemporary form of comedy to the music. That was really a fun time, because Frank really felt that the boundaries had shifted. We were allowed to make the comedy music within the confines of what was considered Frank Zappa, this very eclectic writer, and here we were singing things like “Billy The Mountain”. That was the challenge almost all the time, to come up with things that were artistic, and at the same time Frank was given the platform to create a much more comedic form on top of that. We loved that time with Frank. That was some of the most complex music we had ever been involved with, but at the same time it was also some of the more fun music we ever got a chance to be involved with as well. 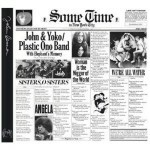 JM: I believe that you were performing at the concert at the Fillmore East where John Lennon and Yoko Ono joined in. Is that right? MV: Yeah, I mean, yes, but you make it sound like they just sort of got up from the audience and joined in. That was pretty rehearsed. I think that the audience was unaware of the fact that John, Frank, Howard, and I had spent a few days organizing what we were going to do. We didn’t tell the rest of the band. Frank wanted it to be a surprise in terms of what it sounded like and how it would eventually come off. We were aware, we actually had rehearsed what we were going to do. I mean, the eventual finished product was not as great as the working on the product. The performing live part of it, I think that it just never… You know, there were a lot of issues that were taking place, personal and business-wise that, in the end result, didn’t showcase what could’ve happened. That’s too bad. 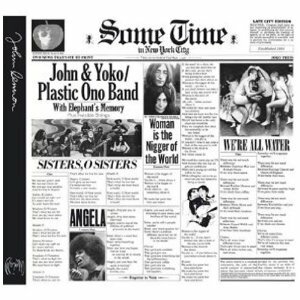 Putting the two of them together was a really unique situation, but I don’t think the result was as good as it sounds when you say ‘John Lennon and Frank Zappa together’. That’s too bad, because it really could’ve been fantastic. That’s my opinion. Of course there others who just think that it’s the greatest thing that ever happened. Zappa fans are diehard fans. You can’t say anything bad about Frank because everything was part of the show. If it was on the record, it probably was meant to be there. That’s sort of the way Frank was, that he was so in control of what we were doing. His part in all this was to come up with music, and to have us perform it. But to come up with music that was so complex, that we made it look so effortless. That’s one of the things that the band was really good at doing. And also, it was one of the things that the audience really appreciated about the Mothers of Invention, that there was this very complex music being played, and the spirit of it was just really, really fun, and in the end result… The fans that liked what Frank did, they supported him through the highs and the lows of the records that we made, and the records that he made. We discover year in and year out with Frank’s fans, there are a lot of them who think that the era we spent with him was just the best Frank Zappa music ever. And then there are also some of those fans that feel that it was not as good as the other parts. You’re always relegated to face the critique of the audience, and for every one person who loves what you’re doing, you’re also going to have one person who hates what you’re doing. It’s sort of like marriage. You get married, and it goes along for years, and it’s a wonderful thing. And then the things that you loved about each other begin to be the things you hate about each other. Everybody loved Frank Zappa, and they loved what we did, but he’d go along, and Frank got farther and farther into the comedy and got less into the music. And I think that the music fanatics began to not like it, because they wanted more music, and not as much comedy. I hope I’m making sense. It’s kind of interesting how the same people who loved us began to hate us. Life has a way of just taking place naturally, and I think that the relationship between us and Frank ended at a perfect time. It got him moving towards a different music, like “Waka/Jawaka”, and the “Big Swifty” and the instrumental music that he began making, which became so popular. Then he would eventually go on and actually have hit radio records. How many people love “Valley Girl”? There was a certain part of the audience that didn’t like “Valley Girl”. You just really don’t have any control over what the critics are going to think. JM: Could you give your account of the Montreux Casino fire? MV: Well, I mean, it’s pretty much documented in the song [Deep Purple’s “Smoke on the Water”] exactly the way it happened. We were playing the casino, really the most beautiful theater in town. It was not really a concert hall, it was this four story building that, on the second floor of it, had a concert venue, more like a ballroom than anything. The stage was backlit by big plate glass windows that faced out onto Lake Geneva, so that the audience stuffed into this ballroom situation could look through the band at Lake Geneva. In the middle of “King Kong”, in the middle of our concert, a fire broke out which we later would discover was from a flare gun that had been shot into the ceiling, that actually had gone through the roof and into the third and fourth floor of that particular part. It was almost like a shaft. It caught fire above the actual second floor where the show was taking place, and then the ceiling caught fire because it was not a very strong ceiling. The smoke began to kind of be forced out of the higher rooms onto the stage, and everybody was panicked into making a mad dash towards the door. There weren’t really a lot of exits. People began to throw our amplifiers through the plate glass windows, and people began to jump. It was a tragedy, but it was really not the tragedy it could’ve been. I mean, yes, the casino burned totally to the ground, there were minor injuries, but there was fortunately no deaths due to the fire. I think that looking back on it now, you just wonder how that happened, because it was really a mad panic that took place, and I think we were all very fortunate to get out of there with our lives. It’s not one of those things you’d want to have happen at a concert, that’s for sure. 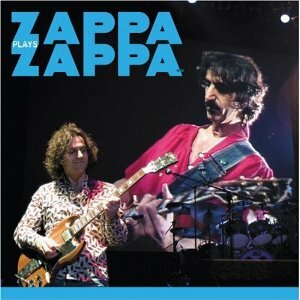 JM: Shortly after that, Zappa got pushed offstage at the Rainbow Theatre? What’s your account of that? MV: That period of time was just a whirlwind of tragedy. I mean, we were basically still in shock at the fire when we went into England. And the situation there, I think the saddest part about all of that was that Frank really was pushing to go home. And we were sort of pushing to go play, because of the economics of canceling the shows in England, it was going to cost each member of the band $5000, for I think seven or eight sold-out shows. It was getting to be near Christmas, and so the band sort of put the pressure on Frank to go into England. At the end of the first show at the Rainbow Theatre, we were walking offstage and we took a bow, and as we were all walking toward the side wings of the stage the audience went from a loud roar to just a silence, a deadly silence. We looked back, and Frank was nowhere to be seen, and we saw this guy running across the stage, kind of leaving the wings, kind of the front stairs back into the audience. He got jumped on, and we still didn’t really know what had happened. We saw the audience sort of running towards this orchestra pit. We walked over to it and Frank was lying in the bottom of the pit. It didn’t really look very good. There was blood emanating out of the back of his head, and it would later be discovered that he had fractured his skull in the fall. He had also fractured his leg in a bunch of different places by the way that he had kind of slid down and landed. When they took him out of the orchestra pit and took him to the hospital, we were taken back to the hotel, and we sat up all night not knowing whether he was going to survive. There was really a possibility… you don’t know what real damage had been done. This was the first show after the fire, so I think at that point we were just drained. There was just this aftermath of this reality setting it. We all wanted to go back to America. Howard and I decided to stay at the hotel until we knew Frank was OK. I don’t know how that all worked out, but what we did was we went to the hospital and got to see that he had survived, then came back to the United States. That would be the last concert we would do as The Mothers. And then nine months later, after recovering, Frank put a new band together and did an all-instrumental album, I believe it was Waka/Jawaka, at that point. JM: Around that time, you also started working with T. Rex. I’m curious how that come about, and what was it like working with Marc Bolan? MV: We were just fans of Tyrannosaurus Rex. Tyrannasaurus Rex was a very underground folk band. Basically Marc was just playing acoustic folk music, sitting on a carpet on the stage with a hand drummer. We were really big fans of the first two albums. We discovered them in New York in a clothes shop Granny Takes a Trip. They used to play a lot of very eclectic music, and we happened to be in there and we heard “Debrora” [“Deboraarobed”] and discovered this artist who would turn out to be Tyrannosaurus Rex. We went out, found the albums almost immediately, and became fans. During the time when we were with Frank we met him. He had come to America, and actually ended up performing with us as Flo & Eddie. It was during that time that he said if we came over to England that he would like to have us come over to the house and hang out. And that’s sort of how our relationship began. He was working on a new project called T. Rex, that was what the first album was called, the album before the Bang A Gong album. 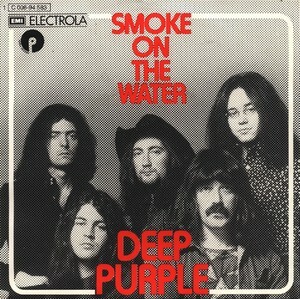 The album in England featured Marc standing with Mickey [Finn] on the cover with an electric guitar. It was sort of saying to the folk fans, ‘this is a different group.’ It was not your Tyrannosaurus Rex folk music sitting on a carpet. On that we had actually had gone into the studio when we were in England and had done couple of songs. We did a song called “Seagull Woman”, and then we did a song called “Hot Love”. And “Hot Love” exploded into the music scene, and became an enormous hit, almost virtually overnight. “Hot Love” became an international number one record for Marc. It just solidified the new mood, and almost immediately he dropped Tyrannosaurus Rex and took the name T. Rex. The image of everything just changed right at the same time. The sound that had become so popular was the sound that we had created with Marc on the “Hot Love” record. So Electric Warrior was created as a part of the sound that we had built with “Hot Love”. So when Tony [Visconti] wanted to make the first album after that hit, and Electric Warrior would become that record, it became very important to the two of them that Howard and I could do the record. So they actually came to America to record, and we ended up doing a lot of the work in the United States. 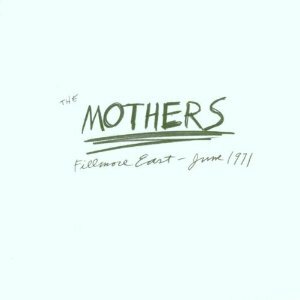 We did do some recording at EMI in England, but I would say that most of the recording of that album was done right in Los Angeles where we lived. They purposely brought it there. We actually created “Bang A Gong”… Marc had come and we had done some songs, and he had gone back to the hotel and he had this idea to do this song, and the band was there, and so we ended up spending the whole day working on the tracks, and in one day we did all of that record. Everything was finished on “Bang A Gong” in one day except the horns and the strings and all that stuff. And then we would go on and do four more albums with Marc, and we became really… I mean, to Marc we were in the band. When we were credited on the records, we’re not credited as side musicians. If you look at the credits on Electric Warrior, he says ‘T. Rex is’ and we are put right in there with all of the band. So he really felt, he really wanted us to be in the band, because we were such an integral part of the sound of the records. It stayed like that. We did, after that, Tanx, we did The Slider – those two albums. We did Futuristic Dragon. We did, I think, five albums altogether as that group. He was a great kid. He always seemed like a kid. That’s sort of the way that he acted, he was very childlike. We had some really good times making those records. He had an innocence, especially in the beginning. He knew, even though he joked about it, he really knew what he was doing and was very conscious of the fact that if everything went exactly the way he was visualizing it, he was going to be as big as he eventually would become. Jokingly or otherwise, he knew that he was going to be a huge star. He just had so much confidence, and he was so self-absorbed with this image and knowledge that if it was done properly he was going to be the biggest music star ever. That was the way he approached it. And there was a lot of humor in that. Howard and I were always making fun of his pompousness. We really loved working with Marc because there was that sense of fun, that we never let him hold his status over us. He just always joked about his superstardom. 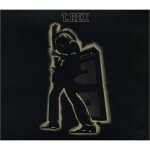 Even after Electric Warrior confirmed internationally his superstardom. I think that his frustration of not making it in America was an alarming reality that would eventually begin to play on him a little bit. I think that it might have been one of the challenges that really maybe drove him to lose that sense of fun. And when the drug scene sort of got so heavy, he sort of began to deaden his initial spirit, because he began to sense that he couldn’t crack this American music marketplace the way he had everywhere else in the world. I mean, on the worldwide stage he was bigger than everybody or anybody. He sold more records than The Beatles on the international stage. He was a genuine superstar on the level of an Elvis Presley, almost. I think the pressure of not making it in America, even though he kind of shunned it off as not being that important, I think it was, and it would eventually take its toll on him. 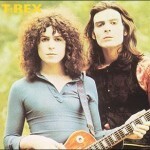 JM: Do you have a favorite T. Rex song that you worked on? MV: Oh my! I don’t even remember how many songs… We did so many songs with Marc, and they were all… I think my favorite record might have been the last album we did with him, was an album called Futuristic Dragon. And we did a record with him called “Metal Guru”. That was always a really challenging record to make. It was very much like a Phil Specter type record, and had lots of voice parts for me and Howard in it. 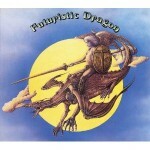 That was one of the more challenging records that we ever made with Marc, Futuristic Dragon. He was sort of moving beyond the more simplistic things he had done on the earlier records. Maybe a little bit more into a form that was a little bit more challenging and creative. I mean, I don’t like the concept of having to pick my favorite, because they all were great. I mean, “Jeepster” was great, and “Chariot Choogle” was great and “Can’t Stop the Children of the Revolution” was great. There’s just so many great records we made with him. We must have done over a hundred recordings with T. Rex. It’s very hard to say your favorite. But I would say “Metal Guru” began to showcase a new direction that we were moving into that I really liked. JM: When I look at your discography, it’s just mindblowing how many artists you worked with and contributed to. 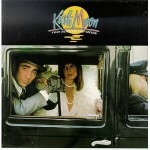 A couple that stand out to me are Keith Moon and Ray Manzarek. Any good stories or reflections on working with them? MV: For me you left out the Stephen Stills project which really was one of the most fun projects. One of the most overlooked, too. 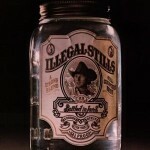 It’s one of the best albums I think we ever got to do, with Stephen Stills, Illegal Stills. Ray was a really, genuinely talented piano player, and songwriter, blues-jazz pianist. Ray was really way underrated, and we loved working on those two albums. I think Ray had a problem with deciding really what we wanted to do. 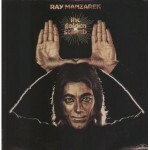 I mean, he was such a great jazz… That first album we did, The Golden Scarab, was just a sensational adventure. I mean, it’s really great jazz, it’s very eclectic, it has great musicians. Larry Carlton, and great jazz musicians… The fact that we even got to be a part of a few songs was really fantastic. The second album, The Whole Thing Started With Rock & Roll [Now It’s Out of Control], Ray sort of got confused, and left the jazz sort of behind him, and ended up making an album that he was trying to be a bridge back towards radio, because it had a little bit more rock forms to it. But Ray is a very sweet, generous man. I always loved Ray just as a person. He was always a great, always upbeat guy. He always saw life from a very positive point of view. I always liked hanging around with Ray, and making that album was fun. You could say the same thing for Keith, but for different reasons. Keith was just totally… He again sort of got lost in the shuffle in The Who. I think that Peter and Roger’s success really weighed on him a lot. And I think his alcoholism and his inebriation, a lot of that was caused in part by the fact that he never really was given as much credit for the band. Especially after the early records. The early records, really Keith was the driving force of the music. “My Generation” and “Magic Bus” and those early records were really a group success. As they went into things more like “We’re Not Gonna Take It” and Tommy, and it got more into the sociological implications of the generational splits, and things, the drum playing had to fit the music a lot more, and Keith’s individual spirit as a drummer got tempered. Does that make sense? Because if you think about it, he had to play what was written. Tommy was so organized, and there were all these little pieces and it became so musical that the drummer was sort of a secondary issue to it. I think that began to really drive a kind of wedge between Keith and the band a little bit. And he began to party a lot more than any of them. And that began to drive a wedge between him and the band. So the solo record was an opportunity for him to just party. Nobody had to tell him ‘no’. And it also allowed him to do something he never got to do with The Who, that was to sing and be the frontman. 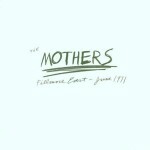 That was a fun project because of all the great musicians that were on that record… Jimmy Keltner… there were a lot of great musicians involved with that album. It also gave us a chance to work with someone we loved very much, which was Mal Evans. 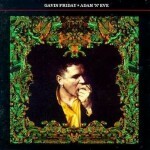 Mal Evans produced that album the first time around. We did a whole album, and then it got turned in and the record company turned it down, and they fired Mal and the album got finished by Skip Taylor and John Stronach. The two of them had worked on groups like Canned Heat and REO Speedwagon and Joe Walsh, and things like that. But we went back into the studio and actually pretty much 90% of the record was totally re-recorded. 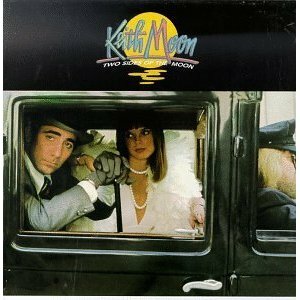 So Two Sides of the Moon really were two albums of the moon. One got released and one sits somewhere in the vaults and archives of MCA records. On our part, there wasn’t a lot of difference, there was just some re-recording of some more musical things and some different mixes and things of that nature. JM: You and Howard have had a really amazing, long-lasting musical collaboration. How do you characterize what each of you has brought to that partnership? MV: Probably different things at different times. I think that probably the collaboration kind of goes back to the relationship all the way to high school. The fact that we have never really argued or fought over decision making, things that probably as a business might have interrupted the flow. I think if you see in history, and I don’t know many collaborations that have lasted as long as ours, there always seems to be some sort of break-up that takes place, whether it’s personal or business, because they just can’t get past something where they disagree. We’ve been very fortunate that the challenges of business have been something that we’ve sort of been able to weave through together, and we’ve never really battled over stuff. He never wanted to do something that I didn’t want to do to the point that we would argue and there would be some sort of backslash because he really wanted to do something and I really didn’t. We both have been really good about giving and taking, and listening to each other, and sort of feeling like if one of us just didn’t feel it was worth the effort or worth the risk, that we’ll just continue on the path we’re on without that getting in the way. I think that has been a big part of it. I think probably because neither one of us is that volatile, and just personality-wise I think we both sort of pick up for each other. And that we have a lot of energy when we want to do something, we really aspire to make it successful. I mean, going back to The Turtles, since it was ours, we always wanted to see The Turtles’ successful, of course, but then when we found ourselves working with Frank Zappa, we were able to, together, sort of metamorphose into good band players, and being good people to work with in a collaborative effort. We’ve been able to do that with so many artists, making records, whether it was with Bruce Springsteen on “Hungry Heart”, or The Psychedelic Furs, or Todd Rundgren, or Jim McGuinn, Ray Manzarek, Alice Cooper, T. Rex. There’s a reason all of those artists have asked us to be a part important records in their lives. I think it’s because we bring a very positive energy that has a lot to do with our relationship as friends. I think that you can’t, like, make that. ‘Hey, let’s be friends’, you know? I think we both have a fondness for each other that goes beyond the success or failure. We have this background that we can kind of snicker over, and laugh over, and I think we see something being funny together about everything that sort of goes on around us. And it always has kind of kept our feet on the ground. I mean, we never got too caught up in our success, and we never got big headed about being successful, and never felt that we were on cruise control. And I think that’s why we’ve continued to work as hard as we do. I mean, have fifty shows a year, we’ve got the summer tour, we just finished twelve cities in eighteen days, then took two days off, flew to the Catskills, did Dweezil Zappa’s music camp up in the Catskills, up in Woodstock, played a show with Dweezil at the Bearsville Theater, came home today, will take about two or three days off, and then rejoin the Happy Together tour which has about another eight cities in about twelve days, and then we’ll come home for a very short four or five days where we’ll get another little break, and then go back and do yet another eight more cities with the Happy Together Tour. So I think we keep the energy high as a team, and we think our philosophy about the band, our philosophy of our history, where we kind of stand in the context of the musical landscape of what we’ve done in our lifetime, we feel pretty good about. I think all of that really helps our relationship. JM: You mentioned Bruce Springsteen as one of the artists you worked with, and I was curious, what was that like? MV: The particular project kind of opened the door to a few months of work. Steve Van Zandt was very instrumental in our joining them during the recording of The River, and we ended up being asked to work with Bruce and Steven on the recording of “Hungry Heart”, for which they were looking for a very specific type of radio-friendly sound which Bruce had never really done up til that point. 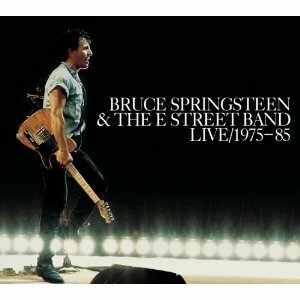 He had certainly cultivated the Bruce Springsteen sound, and the image of the Bruce Springsteen sound was very strong in the marketplace as a touring band, but he hadn’t really found his way to the radio. And so what they were trying to do was to combine that hard work they’d put in building this sound and this new group, and then tie that to the radio. I think Steve felt that bringing us in, and our history of our success as a radio-friendly band would help them shape this record for the radio. So “Hungry Heart” came from that collaboration. From that Bruce invited us to join them at the New Jersey recording. We did six nights at the big concert theater in New Jersey, and he recorded all six nights. Then we went to California and we did six nights at the sports arena, and then we also happened to be in Europe while they were and we were asked to join them on the German leg of the tour, and we did some recordings during that time as well. Those recordings would be trimmed down to do a live version of “Hungry Heart” on the 1975-1985 four CD live recordings. They were great times. Bruce and the band were very welcoming. We were doing a few other songs during the show. We did some Ronnettes covers and things like that. So Bruce really made it fun. We had a dressing room with the band, and they kind of welcomed us in. I think any time you join a group for a few days like that, it breaks the monotony. I think they all got kind of energized by us hanging around at dinner and hanging around backstage, and then doing the shows. You become more than just a part of the audience, you’re sort of part of their whole backstage scheme of things. Your energy levels and the show kind of go to another level. I think that’s sort of what he was thinking when we did those recordings. Steve was such of part of the Bruce Springsteen stuff. We remain really good friends with Steve, forever. 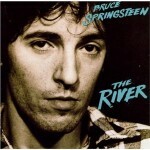 Bruce is… there’s not much you can say about his creative output, it’s just been absolutely mindboggling. I mean, for anybody who’s a fan, they never have to worry about there being great music. He was very welcoming to us, and I think he really thought we were pretty funny, and we always went out of our way to try to make him laugh. JM: I’ve asked you a lot about albums by other artists, but of course there was a great string of Flo & Eddie records in the 1970’s and early 1980’s. I know you don’t like to pick favorites, but what’s your reflection on that body of work? 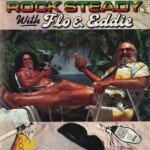 MV: Well, Flo & Eddie was a work in progress. Unfortunately the development of a band takes time. I mean, The Turtles had been together four years before we made “It Ain’t Me Babe”, and it would take almost six years as a band to get to “Happy Together”. Our first album was a really energetic record, The Phlorescent Leech & Eddie, it was self-produced, it was all self written. I think we were on to something really good on that particular record. I think the second album, we tried a little too hard to get to the radio. There are some really nice songs on the record, but I think that we sort of lost our direction personality-wise as songwriters. I think that we didn’t have as much confidence in our songwriting by the second album. For the third album, we wanted to do something a little bit different, which I thought we were successful doing, I’m just not sure the audience was there for it, which was to combine a live recording with studio tracks. I think that that was very hard for the radio base to figure out what we were doing, and it kind of shortcut our radio airplay because, as well, Illegal, Immoral and Fattening was very much a spinoff of the music we had done with Frank Zappa, too. There was some kind of darker, X-rated material amongst the songs, and I think because we had the to put a warning on the record probably didn’t help in its success factor for that period of time. I think the final album we made during that period of recording, which was Moving Targets, was probably getting more back to what the first album was. It was all self-written, was co-produced. I think the material was probably some of the strongest we had written. “Moving Targets”, “Keep It Warm”, “Best Friends”, “Mama, Open Up”, that record had a very large effect on the international stage with a couple of hit songs in other countries. And we did get some airplay in the United States with “Keep It Warm”, and that record became more of a radio hit than it became a money-making hit. But we did get a lot of really good airplay and response to that record. 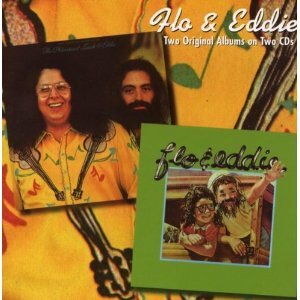 A group like Flo & Eddie really was one of those acts that needed to be with a company that would allow us to develop and find our audience. 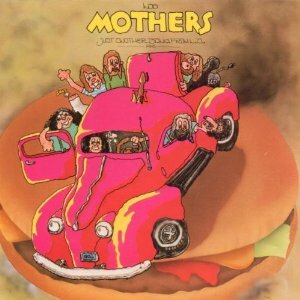 I think there was a kind of creative confusion between the music of The Turtles and the success of The Turtles and then the music that we made with The Mothers of Invention and the success of Flo & Eddie with The Mothers. And I think the two things alone were very successful, but bringing them back together in trying to develop a sound and a career for ourselves… I think about two, three years into it we were really good at it with Moving Targets, but at that point the recording business, the record companies really weren’t in the business anymore of supporting artists that weren’t selling at least a million records. We needed time to continue to develop that, I think. That was a good body of work. From there we began to investigate other musical things. 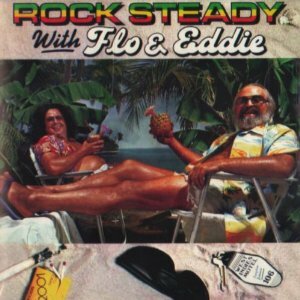 We went to Jamaica and made a reggae album, and we messed around in animation and wrote songs for some television, and the kid’s music, and we stayed involved writing music. We just moved into areas where it was more economically feasible for us to make a living. JM: Your second Flo & Eddie record was produced by Bob Ezrin. I find that I tend to like almost everything that he produced. What was that experience like with him as producer? MV: Bob is still a very good friend. We, in fact, just finished working with Bob on a new Alice Cooper album Welcome 2 My Nightmare. Bob’s a blast. He’s one of those really interesting producers. Either love him or don’t really love him, but he definitely is an incredibly talented musician, songwriter, performer on his own. As a record producer he’s one of the best to work with, because he speaks in musical terms so easily. And that’s something that not every producer does. Some producers are technically driven, some producers are pretty much kind of standoffish and let the artist sort of run the ship. He’s not like that at all. Bob is totally involved with the project, he co-writes with you, he helps every piece of music become better. Quite honestly from our past, Bob’s one of those fellows who has remained good friends with us through a lot of years. I can’t say that for a lot of the people we’ve worked with, but Bob was such a generous person in terms of how much he contributed to that particular record. I think there are some masterpiece recordings on that. “Marmendy Mill”, which is a collaboration that Bob and Howard and I did, was one of the best recordings that Flo & Eddie ever did. “Burn the House”, some of the songs that Bob worked on, “If We Only Had The Time”… some really nice recordings. And along with that the guitar playing of Steve Hunter on that record was a really wonderful part of the experience of making that second album. JM: Around that time, Bob was also working on Berlin by Lou Reed. That’s one of my favorite albums, and I know that you didn’t perform on it. But did you interact with Lou Reed around that time period? MV: And even beyond. Actually we just worked with Lou at Carnegie Hall in October of last year. We did a project at Carnegie Hall celebrating the life of a singer-songwriter by the name of Gavin Friday. Gavin is an Irish poet-writer-performer who grew up with Bono, and Bono threw a party for Gavin at Carnegie Hall. He rented Cargenie Hall and we put on a concert for Gavin’s 50th birthday. You should look up Gavin’s music. Gavin is wonderful. At the concert, we did a song from the movie Romeo and Juliet, a song called “Angel”. He’s an extraordinary, extraordinary writer, and phenomenally talented singer. Bono is such a fan, he put on this birthday party for Gavin, and this show that went on was for the benefit of the Red Foundation. 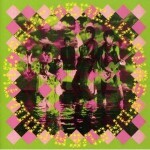 Since the project with Lou all the way back to the early years with the Velvet Underground… When we went to New York we would get a chance to see them, and we eventually would become pretty good friends with Lou. He’s one of the artists that I think if you said to me ‘is there any artist you would would have loved to have made a record with?’, I would say Lou. We actually sang with Lou onstage several times. We did “Walk On The Wild Side” with Lou in concert a few different times. I know in Australia we did a few nights. He came onstage and sang “Happy Together” with us in New York when we played there several times. So we have had crossings in our friendship, definitely. When we did Carnegie Hall last October, Lou was part of the celebration. He and Laurie Anderson performed at Gavin’s concert at Carnegie, and that was an extraordinary night. They filmed it and recorded it and all. But there are things online that you can see on Youtube. We sang with U2 that night. 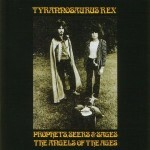 We did some versions of T. Rex records, because they grew up on the T. Rex records, and they just loved them. They wanted us to come in and sing with them doing the T. Rex songs. So that was really fun. We got to be with the four of them onstage doing “Children of the Revolution”, and we did two Gavin Friday songs that U2 sang that night at the party, that Howard and I had done all the backgrounds for on Gavin’s album. MV: Yeah, it was very cool. It was really fun up there. You had great stars there. Shane MacGowen from The Pogues, you had Courtney Love, a litany of artists. 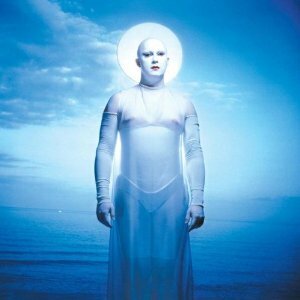 Rufus Wainwright, I don’t know if you’ve ever heard of Antony and the Johnsons. MV: Antony is just a brilliant singer/artist. Way unknown and under-played in our country. But he is a true American treasure. And we got to sing with Antony. That was one of the truly fun nights for us to be with these very celebrated artists, and here was Flo & Eddie. I remember Bono introducing to the full house at Carnegie Hall, he introduced us as two of his favorite singers. It was such a kind thing for him to do, I wish he would have paid us for it. That’s great, when your peers step up, and they acknowledge what you have done in your lifetime. For us, that has really always been kind of the reason it’s fun doing. Even looking at the Summer of Love tour we’re doing with Happy Together this year, it’s that continuing saga, we’re sort of looking at it, it’s almost like Flo & Eddie acting as curators of a part of American musical history. It sort of runs the same way as the Zappa Plays Zappa, that Dweezil is doing, showcasing the music of an artist who basically was not played on the radio. I mean, it’s one of those things where without Dweezil going around the world showcasing this phenomenally textured career of his father, I mean it could very easily get lost in the American music garbage that we see as a part of our new landscape. I mean, the fact that we pay $69 to go see Ke$ha, it kind of represents… I’m only meaning her as a metaphor for all of the artists, I don’t mean her individually. I actually think she’s quite talented, probably more than some of the others because she’s actually quite a good songwriter in terms of writing for other artists. She’s had some really good success. But I think we live in a society today where somebody like an American Idol celebrity is more important to the music of our history than Frank Zappa. And that to me is just frickin’ stupid. That is just where we are, and that’s just what we take, that the guy from The Voice is more important than Frank Zappa. I mean, it just is so ridiculous. Zappa never ever got his due as a performer. But without somebody carrying the torch for him we would probably lose him altogether, this idiocy that we have with the American Music Awards, this Hall of Fame, this just garbage upon garbage, layers of musical garbage that just comes and goes, much more known than Frank Zappa. That type of stuff to me is one of the problems that the media has created, and I think we feel what we’re doing with Happy Together… I mean, there’s no oldies radio anymore. There’s no stations allowed to play oldies music, because there’s not an age group to support the commercials… the commercials are not what supports radio, it’s not the music, so they’d rather have twelve stations of Mexican music, because there are so many Hispanics listening to music today, and country music, that we don’t have an oldies radio station. And that’s because the advertisers don’t want to buy time on a a station that doesn’t draw enough audience. That’s why we don’t have jazz on the radio. Try to ask a kid today who Charlie Parker is. Jazz to these people is Kenny G, or John Tesh. We’re in a crazy world. And so, to us, we’re doing a form of curating, almost like taking a tour of the history of radio-friendly music of the 1960’s, all massive records that use to get played on the radio, all the time. But because we don’t have oldies radio, the only way you can hear it is to come out to the show, or buy it online. So this is kind of a reminder of that era in music history, and I think the show is put together so professionally, there’s two and a half hours of Top 10 records pretty much, so that’s what makes it really fun, because it’s like a Broadway show inasmuch as the production is very slick, it’s very tied together with the announcer, and there’s this feeling of being at a show. And then one hit after the other comes at you. It’s not an artist trying to showcase what they’re thinking today. We reserve that to do in our individual shows that we continue to do throughout the year. But this show is designed to bring the best hit songs, with the best artists, for a summer of touring. And it’s really worked out very good, in fact last year we did about 26 shows around the United States, and this year we’re nearing 30, and we’re seeing larger audiences this year than we did last year. So, it’s a good sign. JM: Say, I do have to ask you whether or not you smoked pot at the White House? MV: Well, I think that was a story the media latched onto. I was not a part of a group that smoked pot at the White House. There might have been members of the group who did, but I don’t think we would’ve gotten away with it. Like I say, I think we might have made a comment back then as sort of a rhetorical thing. I heard that we snorted cocaine on Lincoln’s desk. MV: That… What I can say is I know we did have a few drinks that night. I can say that, because I know I partook in a few drinks myself that night. JM: One question that may or may not have an answer. Do you want to set the record straight on anything about your career or your music. Maybe you just did on your White House pot story. MV: I think that the way that Howard and I have always viewed our relationship… I mean which we will celebrate 50 years of friendship next year. I think one of the things that has strengthened our relationship as friends is the fact that we philosophically found a way to put in perspective the fact that our career is really a work in progress, and that everything we do between the time that we started in 1962 to the point where we would eventually either not be a team or not be not be alive, I think everything we have done and are doing is a part of that singular career project. And I think, when we worked with Frank, we sort of grew of into this philosophy that our life was actually the project, that it wasn’t just “Happy Together” or our time being with T. Rex or our songs with Bruce Springsteen or working with Frank. I think when you begin to look at all of the things that we’ve done, things with Alice Cooper, and touring extensively and continually for the 40-some odd years, I think that is the time when writers will begin to analyze the value. I mean, if you just even made a list of Keith Moon, Stephen Stills, Joey Ramone, Frank Zappa, Bruce Springsteen. I mean, that gives you a start on the list. All of those people are in the Rock ‘N’ Roll Hall of Fame, and we sang on their records. I think when you begin to put pieces together, you start making people go, ‘my gosh, I didn’t know they had done all these things’. 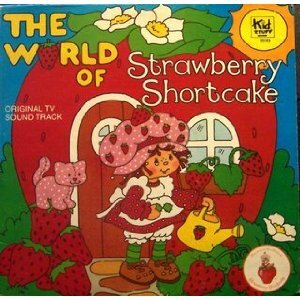 I think when we went off and we had the success that we did with our children’s music, with Strawberry Shortcake and working in television with NBC as comedy writers, just on and on. I think that’s the thing I’m excited about. When Bono and his management company called us to be involved in a project at Carnegie Hall with all of these extremely talented and eclectic artists, that’s the salute of saying that you belong there. That’s what we’ve always based our career on, whether we had a hit song, or we were in the mind’s eye of the public. If we’d gotten written up you never read anything bad about us. We’ve never had drug problems, we’re not hard to work with. We just finished doing this project at summer camp with Dweezil up in the mountains with hundreds of his fans. Those are the things – when you get the feedback from those people, what a great time they had, how they got to sit and talk with you and meet with you. I think those are the things that we want people to really continue to learn about us. This is a work in progress. We still feel that same urgency today when we see our song is being used in Freaky Friday, Adaptation, and The Simpsons. We see the young kids who hear “Happy Together” with Shrek’s Halloween Show on television [laughs]. You see this very young audience tuned into your music. You have a young band like Tahiti 80 from France who records “Happy Together” and does interviews talking about how we were one of their favorite bands. This is a band who has internationally grown up influenced by our music. This is a period of growth, a period of reflection, and all of that is kind of coming together. I think we’re very content and we are happy in our place in the history of popular music. I think that when people begin to see our body of work the way we do, and the way we have created it, people will continue to be educated into a lot of the things we’ve done. It will open up lots of different cans of worms, and you’re always going to hear people going, ‘I didn’t know they did that’. That’s kind of the way, whenever you talk with somebody and they go, ‘I didn’t know you sang with Sammy Hagar. Or I didn’t know you worked with Blondie.’ It’s funny, because all of those fans that they have begin to explore why they used us. You say to me, what do I want to tell the fans? We’re not going anywhere, we’re not leaving. We’ve always been here. MV: Well, learn the business. In this day and age, any young musician who is trying to have any kind of success at all should strengthen themselves emotionally, spiritually and creatively. And one of the ways you do that is by becoming much more aware of the business of music, because it will allow you to become more valuable in all of the areas of your career. And it will help you to be able to look at what’s going on management-wise, and creatively that is very important to understand ownership, and understand publishing, and understand what record companies are about. If you’re really moving towards the music in a business way, then you definitely have to take the time to take yourself more seriously, and the way you do that is to become much more in tune with the elements that come into the music business in terms of ownership and what makes a good manager, and what makes a good record company. So that you can protect yourself. The saddest thing is for a musician to have a great record lost in the shuffle because he didn’t know what needed to be done. Just because you make the record doesn’t allow you the ability to ignore the necessities of marketing, and public relations, and advertising, and understanding what needs to be done in the most important things. MV: I just came back from the Catskills, we did a show with Dweezil last night up in Harrisville. I’m at home in Franklin, Tennessee for the next three nights, about 35 miles south and west of Nashville. We moved out of California about seven years ago. It’s a music history paradise living near Nashville. Just in the last few years alone, Nashville has bred Kings of Leon, Paramore, Taylor Swift, Lady Antebellum. Of course the Blake Shelton’s and Kenny Chesney’s. You can’t leave Ke$ha out either, she’s from here. And Justin Timberlake from Memphis. Tennessee right now is probably the music capital of the world, if you think about it. We have so much music, not just Music Row with the country music business, but we’ve become a real place for musicians. It’s funny, every time you get off the plane you see somebody, either coming or going. There’s always somebody at the airport, whether it’s Brookes & Dunn or Jamey Johnson. There’s just a lot of musicians who live in this area because it’s a part of the country where you can fly an hour or two and be anywhere. I can leave my home at 11:00 in the morning and be in California by 1:30. That’s a lot better than being in California and having to leave the day before a show on the East Coast. I think that’s another reason we get so many musicians finding their way to Nashville. I LOVE the Turtles, don’t get me wrong, but I MISS FLO & EDDIE doing Flo & Eddie songs live!!! Fantastic article, thank-you for going to the labor of writing this!